Ketosis body odor can be one of the most striking and embarrassing keto diet side effects out there. Do you feel like you are assaulting peoples noses with your body smell? Is your body odor making your SO to leave the room? Do you have to put on deodorant at least twice a day, even when you aren’t working out? Body smell is a delicate topic and can make you too self-conscious. Why do I stink during keto? 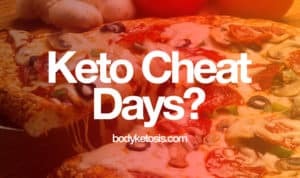 Your body develops a bad body odor during keto either because of the smelling ketone bodies, you are eating too much protein or the keto detox effect. Sooner or later, after cutting out carbs from your menu, your body will start producing ketone bodies. Fatty acids are converted into ketones, which are natural chemicals your body produces when you enter ketosis. Three ketone bodies your body produces are hydroxybutyrate, acetoacetate, and acetone. The magical ketones that will eventually bring down the sweet sweet ketosis and all it's magical benefits. 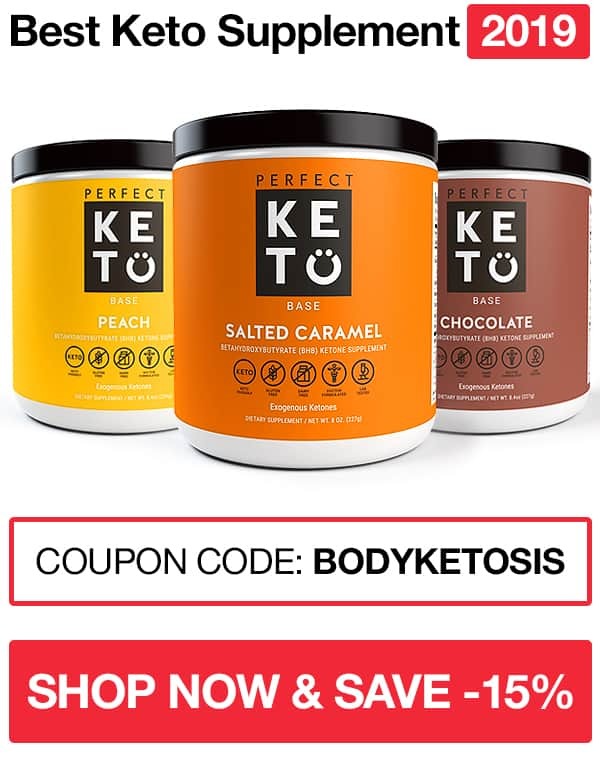 Okay, but ketone bodies should be a good sign right? Why do they make me smell? In the beginning of your keto journey, your body has just started producing ketone bodies and is still adapting. This means, that your body is slowly adapting and learning to burn fat for energy, but it isn't very effective in that during the beginning. That's the reason why a large amount of ketone bodies will be excreted by urine, breath and sweat in the beginning. The interesting thing is that ketone bodies do smell and it's not as pleasant as we would like it to be. Okay, but how does ketone bodies smell then? If you are rocking the ketosis, you are excreting acetone and acetoacetone from your body in noticeable amounts through your breath, urine, and skin. Yes, that's the same chemical that can be found in nail polish removers. That's also why this smell has often been described as fruity smell and reminds the chemical acetone. It's fruity, acidic and definitely not a good smell. The level of the smell depends on person to person and the level of how many ketone bodies one produces. During the time it will get better at using ketone bodies as fuel and it will fade away. Once you are keto-adapted, everything will be normal again. Well, like most of the side effects on keto, the main goal is to get into ketosis as fast as possible and stay there. This means no cheating, cutting out all the carbs, eat more high fiber veggies, being hydrated and keep your electrolytes on point. 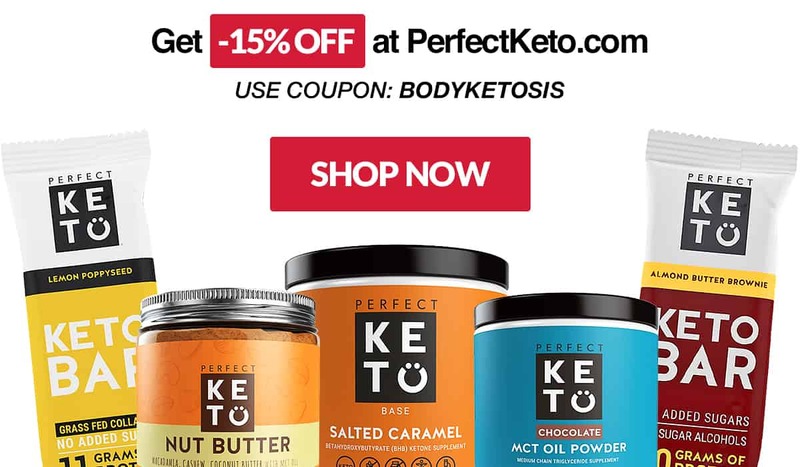 One additional option is to use exogenous ketones. 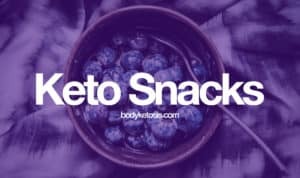 In simple terms, they are just additional ketone bodies that help to minimize the side effects and kick you faster into ketosis. I generally don't suggest it for first-time ketoers, because you should need to experience all the ups and downs of keto based on your nutrient intake, not supplements. But if this is your second or third round, then this can without no doubt speed things up. Did you know that losing weight smells? You may be thinking what the hell I am talking about? I had the same reaction when I first heard about it. Detox or detoxification itself is a process or period of time in which one abstains from or rids the body of toxic or unhealthy substances. But what it has to do with keto? We came here to burn fat and get our brains focused, not to detox our bodies. Everyone knows that all those extra calories will end up as a fat on your body. What isn't so common knowledge, is that also all types of chemicals and toxins we put into our bodies will be stored in our fat cells. These toxins are called persistent organic pollutants and the problem with them is that they don't break down easily. So once they are in your body, they will be staying there for a while. These pollutants are stored in body fat. Once you start burning fat, those toxins will be released into your bloodstream and will be excreted for example through sweat. In simple terms, your body is getting rid of toxins stored in fat and it's excreted through sweating and that's what makes everything stink. Well, you cannot do much. In simple terms, you need to get into ketosis and stay there. If the smell is bad, then definitely shower more, use natural deodorants. One idea that doesn't cure the source but can help to minimize the bad odor is to try Epsom salt bath. Bathing has it's physical and certain psychological effects on you. Bathing removes the filth, bacteria and dead cells from your body. The hot water has also a relaxing and mindful effect on you. It helps to clear things up, releases tension. Epsom salt is also known as magnesium sulfate. An important mineral that your body lacks during the keto diet. Combine it with Himalayan salt and favorite essential oil and you got yourself a home spa. Dissolve Epsom and Himalayan salt together with baking soda in boiling water. Fill your tub with hot water and add apple cider vinegar and salt mixture. Finish it up with 10-15 drops of your favorite essential oil. This bath will make you feel tired afterward, so don't do it when you are home alone or if you need to go somewhere afterward. The keto diet is low carb, moderate protein and high-fat type of eating. Eating too little protein can cause you to lose muscle when you lose weight. Eating too much protein could cause your body to burn excess protein into glucose and thereby knock you out of hard earned ketosis. So the protein balance during keto diet is important. The excess of protein in your body during keto can result in the smell of ammonia. The ammonia is the byproduct of the protein breakdown. In most general cases, your body should break ammonia down and excrete from the body. However, if the ammonia builds up in the body, it will create an unpleasant odor coming through your skin. What is the ammonia odor like? Well, it's hard to describe it, but it's sometimes described as an old urine. Or a smell of a CD cover plastic, like a chemical type of smell. Some even say that ammonia reminds them of cat piss. It comes through your skin, underneath of your armpits and even in your breath. This is probably one of the easiest things to fix. Just cut down your protein intake. Remember, keto is moderate protein not high protein diet. Just lower your protein intake to 10-15% of your total calorie intake and increase your fat intake. Also, don't forget to mix up your diet with high fiber veggies and leafy greens. They play important role in your diet. If you find it hard to boost your fat intake, then one of the easiest and most delicious ways to boost your fat intake is making your coffee bulletproof by adding MCT powder. It's fast, tastes good and gives your morning a proper kick. Why your HORRIBLE body odor is a good thing? 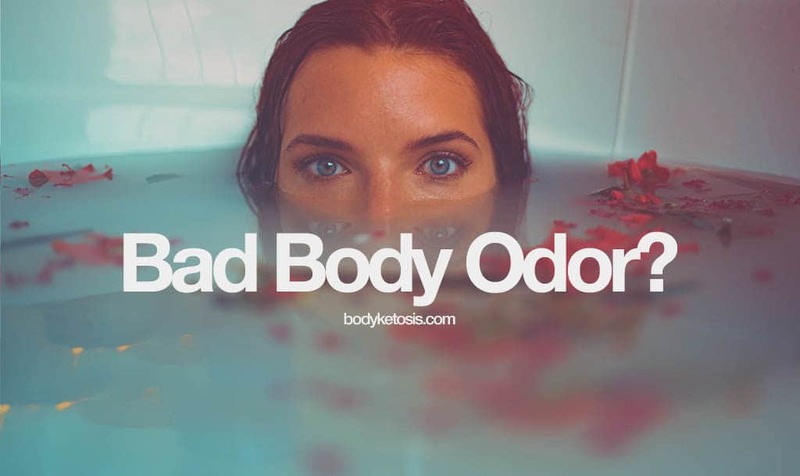 Body odor definitely is a discrete and gentle topic in everyone's lives. It can make you feel like million bucks or make you so self-aware that you even cannot go to the grocery store anymore. When you are struggling with an unpleasant odor, then it's hard to see the positive in this, but that doesn't mean that everything is all bad. When you are experiencing the keto detox or smelling ketones, then it's a good sign after all. It means that you have removed carbs from your menu and eaten enough fat to kickstart the ketone production. This means that you are halfway to ketosis. Unpleasant odor is just one of the temporary side effects of the keto diet. It comes with the diet and doesn't last forever. The only main thing you can do to fight with the keto body odor is to get keto-adapted as fast as possible. This will be the magical cure for most of the unpleasant phenomenon that comes with the keto diet. The easiest way to achieve that is to remove ALL the carbs from your menu, eat LOADS of fats, drink a lot of water and keep your electrolytes on top. Thank you for this clear explanation. I am happy to know that this aroma is naturally occurring and not due to a malfunction of liver or kidneys. I will do my best to eat more veggies and much less protein. It’s amazing how this smell is there even right after a shower. Blessings to the Balance. Now I have a solution. BTW, I no longer crave carbs at all but I do look forward to filling up on fats. Happy to help. Yep, the most surprising for me was how strong the smell is. Once your body gets used to fat, most of the negative aspects will fade away. I smell permantly, even straight after getting out of the shower but my smell is more like coffee or biscuity, is this normal too? 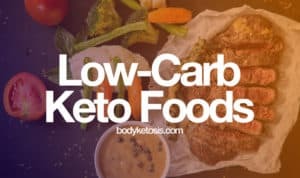 I have been doing keto for 7 months now but the smell just seems to be getting worse. It seems only I can smell it which is a blessing but it is driving me mad! Help!!! Jude, I had the same issue but I was using another diet pill. I had to literally stop the pills I was taking and the smell eventually went away. I also took long baths and added a cap of bleach to my bath. However, I read that bleach can make you gain weight so I will take bleach/weight gain over smelling bad. I hope this helps. What if you constantly SMELL a bad smell and every single person around you swears they don’t smell anything? Am I going crazy??? Of course, you will smell your own body the best, and I think it’s quite normal. I suppose the smell I notice is more like alcohol although I don’t drink! I’ve noticed that when I’m losing weight, my left hand smells like garbage, but only my left hand. The smell comes back only a few minutes after I wash my hands. Any idea why this might be?